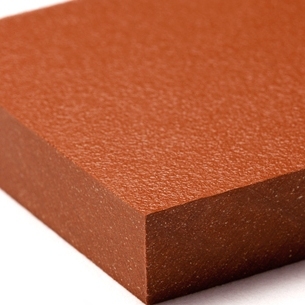 Cembrit Solid (Zenit) Fiber Reinforced Cement Composite Building Panels - Foundry Service & Supplies, Inc. The special thing about Cembrit Solid (formerly Zenit) boards is that they’re the same colour all the way through. Each of the core colours is matched with a full-coverage painted surface in vibrant yet resilient colours. This means if you choose Cembrit Solid boards to provide a façade with a particular colour, every board will feature that colour on every surface and edge, and with the same colour on thcell namedges of any cut-outs or drilled holes. Solid is a through-colored baseboard fully covered with a matching 100% acrylic, water-based paint in a number of deep and natural colors with an intense sheen. The unique combination of a through-colored board and opaque paint gives the board a smooth and strong surface with reduced risk of visible scratches. The board is powerfully resistant towards green moss and algae as well as extreme weather conditions. Cembrit Solid comes in 16 natural yet intense colors inspired by the universe and named after the colorful planets in the skies above. If you wish to add an even more unique expression to your facade, Cembrit Solid allows you to combine one of the nine baseboards with most NCS-S colors.